"I sometimes forget what an impact it can have, when you stamp your card front and then die cut a large portion directly out of your stamping and pop it up with foam adhesive. It can take an otherwise flat card front and really make it something special, adding great detail and interest! I’ve recently fallen in love with this look all over again and am looking forward to sharing my cards with you, as well as a couple of tips I’ve picked up along the way!" 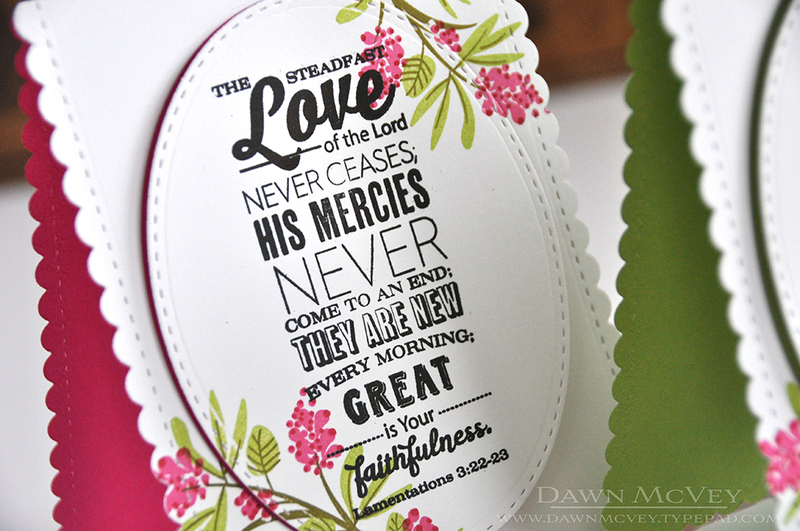 Make sure to visit Dawn's blog to learn more about creating a dimensional card base for your next project! 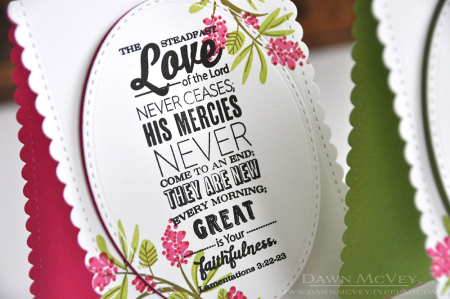 What gorgeous cards, and I especially love the Scripture stamps with this delicate new set. Guess it’s on my wish list now! Thanks for always inspiring! Hugs! Lovely card. Thanks for the reminder, have not used this technique for awhile. Beautiful…thank you for this simple technique reminder. Great technique! Thanks for the inspiration! Beautiful cards!